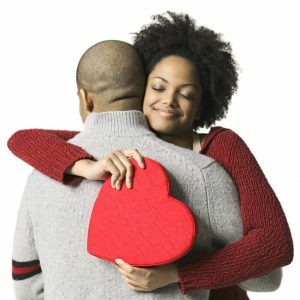 There are numerous of books, television shows and workshops out that offer advice on how to find true love. They tell you to get a new makeover, lose some weight, make a detailed list of your requirements or even go hang out where eligible single folks hang. While all of these things are certain to help you meet someone, they do not promise true love. The truth is, this kind of advice will never give you what you’re looking for. Because that kind of love can never be found outside of oneself, it can only be found within. Whenever we look for something outside of ourselves, we are saying that we don’t already have it. But when it comes to love, that just isn’t really true. The truth is we do have love. Love resides within all of us. To understand this, we must first come to realize that we are all connected to a Life Force, The Love Powersource…God. God is love, pure and simple. And we all have been given the capacity to connect with, become one with God. As we begin to accept and allow this connection to grow and evolve, we become the very essence of the love we seek. But when we go looking for what we already possess, it’s like walking around the in a panic looking for your keys, not realizing they are already in your hands. Once you realize you are holding your keys, do you continue to look for them? Of course, not. You immediately begin to use your keys to unlock the door or whatever you needed them for. Once you realize that love already exists within, you now can begin looking for ways to share it with the world. Compassion, forgiveness, and peace within becomes your home. You begin to live your life from a space of fulfillment instead of need or void. Then guess what will happens? The love you’re already experiencing will also show up in your life wrapped in the package of your divine right mate. Become that which you seek and your life will never be the same! !